When Pearl Harbor was attacked by the Japanese on Dec. 7, 1941 the world was changed instantly and the U.S. was in World War II. Projects were put on hold and the Bering Sea was closed to foreign fishing. Before the war the Japanese had developed a king crab fisheries in the Bering Sea and had found a market for canned king crab in the United States. Now the U. S. federal government, under pressure from the Pacific coast fishing industry, wanted to know how large and where the resource was located in Alaskan waters. Federal money had become available in July 1940 to finance an exploration to survey Alaska for this resource, and in the fall of 1940 and during the year of 1941 three vessels were chartered by the Fish and Wildlife service to survey Alaskan waters. The survey concluded that there was a large concentration of king crab and flatfish in the Bering Sea, but that venture came to an end when the war started on December 1941. The report was read by a group in the government concerned about the shortage of food for the armed services which had caused rationing of food during the war and a need to find new food resources. 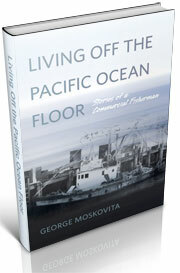 The Pacific Fishing Project sponsored by the War Food Administration was to convert a 410 foot World War I ship, the Mormacrey, into a factory ship and to build five fishing vessels to harvest the fish and king crab for it. Completion date was set for Dec. 21, 1945; however the war came to an end with V-J Day on Aug. 4, 1945 when Japan surrendered. A decision had to be made on the project, which was close to completion, since the Department of Agriculture was not able to reaffirm the original War Food Administration recommendation to either scrap it or complete it. It was decided to finish it since there was a benefit to the government to develop a modern fishing industry in the Pacific Ocean and the factory ship method was a way to do it. The Reconstruction Finance Corporation was requested to proceed with funding. Nick Bez, a Seattle businessman, organized the Pacific Exploration Co. to handle operations and to oversee final conversion and building of the fishing vessels. The naval architects of W.C. Nickum and Sons did the design work for the conversion and the vessel was moved to the Bellingham, Washington Iron Works for the final stages of the work, which was completed in December 1946. The factory ship was renamed Pacific Explorer. There were four fishing vessels built instead of the five the original plan called for and H. C. Hanson, a Seattle naval architect, was awarded the contract to design them for the Pacific Exploration Co. 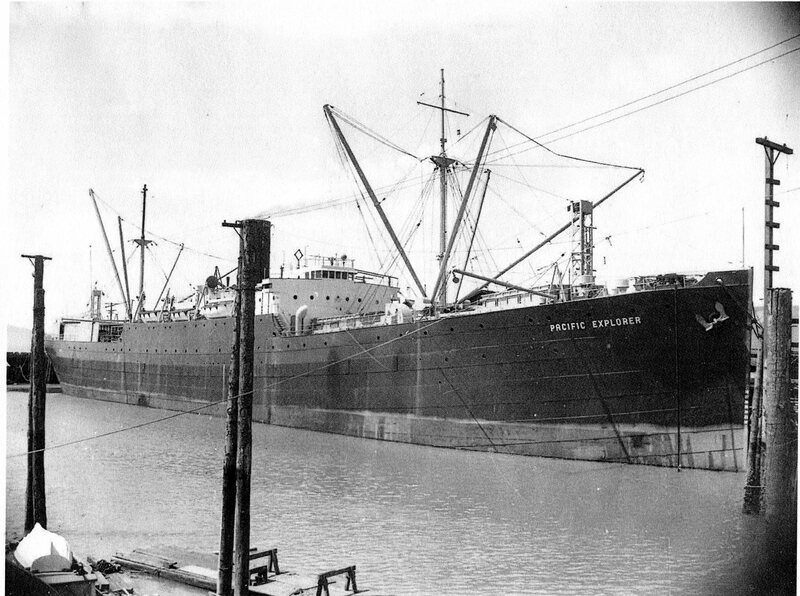 They were 100-foot steel-hulled clipper-trawlers, which are better known now as Pacific Coast Combination Vessels. The first two were built in Astoria, Oregon during 1946, with Oregon the first to be completed, followed by the Washington. The next two were built at Long Beach, California the following year, Alaska followed by the California. The Pacific Explorer departed Astoria, Oregon on her first tuna cruise to South America on January 3, 1947. Nick Bez had made arrangements for a group of 10 commercial seiners and clippers known as bait boats to fish for him and to use the Pacific Explorer as a mother ship to supply them with their needs of fuel and water, as well as to buy their tuna. They preceded him south and had already started fishing. The newly built Oregon was added to that mix of 10 commercial vessels and was rigged as a bait boat, but the Washington wasn’t ready to sail. Probably the mother ship anchored in protected waters outside the three mile limit in the Gulf of Nicoya, Costa Rica, and began receiving tuna and freezing them for future processing. The area had not been seined for years, but had been worked by tuna clippers (bait boats). The Pacific Explorer working as a mother ship allowed tuna seiners into the area since the vessels did not have to put into Costa Rica for supplies they could get from the mother ship, probably outside the 3 mile limit. The bait boats, though, had to get bait locally and probably had to have a Costa Rica license to purchase or to be able to fish for bait in the inside waters. 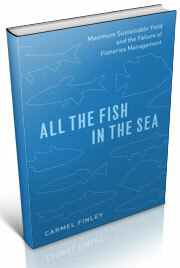 As long as they could catch bait, the catches of tuna by the seiners and bait boats were compatible. But whenever bait became scarce or the fish quit biting, the seiners did better and over time they had a more consistent record of tuna landings. After the Pacific Explorer had been in Costa Rica for five months, working under the contract between the Pacific Exploration Co. and the U.S. Federal Government, it was suddenly canceled. An order was issued recalling the two U.S. financed vessels, Pacific Explorer and the trawler Oregon, to return to the United States. 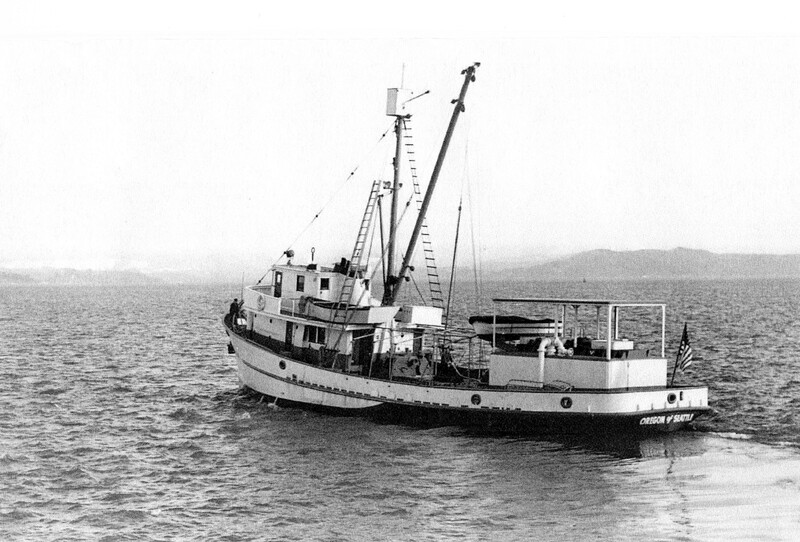 She and probably the Oregon returned to Astoria on July 23, 1947 with 2,250 tons of tuna aboard. It is possible that the main reason the above contract was cancelled was because Oregon was landing tuna on the Pacific Explorer at the same time as the other 10 commercial fishing vessels. 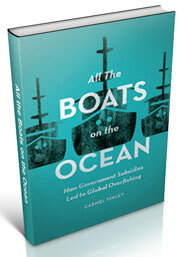 The southern California commercial fishery and canning industry complained that the Pacific Explorer Co. allowed a vessel backed by U.S. tax dollars to be in direct competition with private enterprise. When the Pacific Fishing Project was proposed during the war it was fine, but after the war it was against the law. If this is true, that explains why none of the four fishing vessels after the Oregon returned to Astoria ever landed a catch on the Pacific Explorer. The contract was rewritten, transferring the Pacific Explorer and the four fishing vessels from Pacific Exploration Co. to the federally owned Reconstruction Finance Corporation. The operation of the vessels would still be conducted by the Pacific Exploration Co., headed by Nick Bez. This entry was posted in Albacore tuna, American Tuna Association, boat building, Environmental History, Fisherie subsidies, Fisheries policy, Fishing, History of Technology, Maritime History, Nick Bez, Ocean fishing, Pacific Fishing History Project and tagged Alaska, Bering Sea, Fish, Oregon, Pacific Explorer, Pacific Ocean, United States, World War II. Bookmark the permalink.